French investment bank BNP Paribas has dampened concerns that a €70 million loss on a derivatives trade, which harmed its fourth quarter earnings, was the result of misbehaviour or negligence. BNP Paribas told investors on its earnings call that there was no foul play in how the traders handled the index derivatives trade, which was linked to the US S&P 500 index. The trade contributed to the bank’s pre-tax loss of €225 million for its global markets business in the last few months of 2018. Philippe Bordenave, chief operating officer at BNP Paribas, stated that BNP Paribas has a flow derivatives order book which is diversified, and managed and hedged globally. Movements in the US equity markets at the end of last year led to difficulties in changing and addressing the hedges, Bordenave explained on the earnings call. “The guy in charge of the book made, I would say, wrong choices in the way he should hedge the book,” Bordenave added. “It was kind of a mishandling, or bad, or poor and lean consulting in their choices in the hedging without any breach of any kind… the limits and transparency were respected. 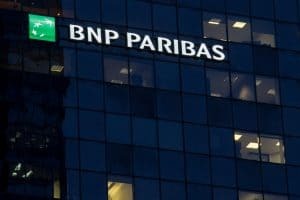 BNP Paribas has made efforts in recent years to bolster its global markets business with reshuffle to its senior leadership staff last year. However, in light of the poor fourth quarter performance, BNP Paribas said it has now decreased its profitability and revenue growth targets for 2020. “The Group is committed to its 2020 ambition and implements further savings to significantly improve operating efficiency in all the operating divisions as early as 2019,” Jean-Laurent Bonnafé, CEO of BNP Paribas, concluded.